The dream book that empowers the dreamer. It is purposely non-denominational to assist the greatest number of people with their dreams. This book will show you how to interpret your own dreams, and how to mine the spiritual gold found within them. Every night our dreams are pouring into us information designed to help us move forward in every area of our lives. Even the smallest details pertaining to relationships, health, finances, and of course spirituality, are given to us. 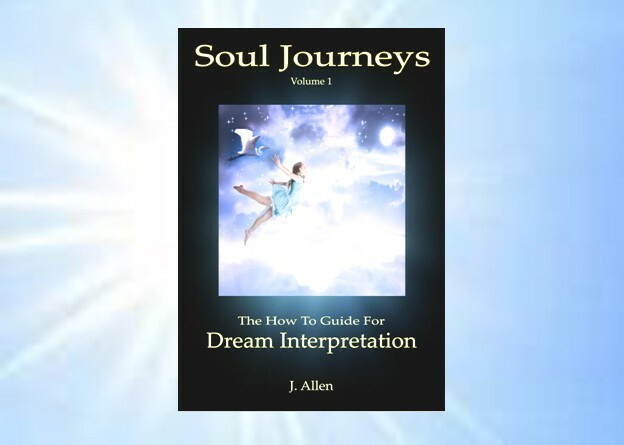 With the information in this book you'll be able to harvest the true meanings put forth in the dream messages that illuminate your nightly dream state. If you are able to catch the true meanings of your dreams and take action upon their instruction, you'll benefit in a thousand ways. Over time the adjustments you make through your actions will add up to big steps forward into a life consciously created by you, with the full backing of Spirit. Get the book now and let the dreamer awaken! "The author has a way of putting things that I've never seen before, most excellent! A thought provoking book, worth the time and effort to discover what your dreams are about." G.B. "...THANK YOU for writing this book. AWESOME..." G.K.P. "Your writing is so down to earth and you simplify spiritual concepts so anyone can understand them. Thank you for writing it. It will be appreciated by anyone who wants to make progress with their dreams. Just had to tell you! Excellent Job!! " C.H.